When it comes to fruit, we often go with what we know: apples, oranges, bananas, berries and such. 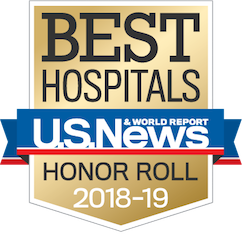 However, there are many fruits that are popular in Asian and European countries that may not be as regularly consumed in the United States and deserve their shot at our tables. Take the kiwifruit, for example, which is also known as the Chinese gooseberry. The kiwifruit was originally native to China and was considered a delicacy. The first seeds were brought out of China by missionaries to New Zealand at the turn of this century. 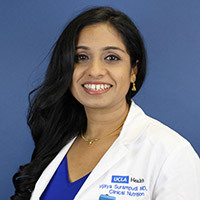 Dr. Vijaya Surampudi is the associate director of the weight management program in the UCLA Center of Human Nutrition. 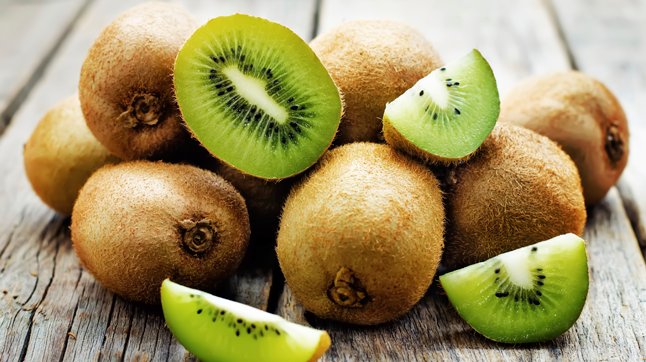 While small in size, kiwifruits are an excellent source of vitamins, minerals and antioxidants. They are also low in calories. Very few people know that there are multiple varieties of kiwifruit in addition to the most commonly known green golden kiwifruits. Compared to the green, the golden variety is sweeter and more aromatic in flavour -- and this makes it easier to consume with the peel -- but it has a shorter shelf life. It may be surprising to learn that a serving of kiwifruit has more vitamin C than an orange, and more potassium than a medium-sized banana. Kiwifruit has 3-4 grams of soluble fiber per serving, with equal parts of soluble and insoluble fiber, which is rare for a fruit. The unique combination of fiber and the presence of an enzyme in kiwifruit called actinidin makes it a digestive powerhouse. Several studies have suggested that actinidin helps to break down proteins and contribute to the fruit’s digestive benefits. Learn more nutrition facts in UCLA Health’s Nutrition & Wellness Library. Learn more about the UCLA Center for Human Nutrition including its weight loss program.